As I watch winter progress, the days growing colder, the nights longer and the snow piling high I set with a warm cup of tea and thumb through seed catalogs as my thoughts focus on the coming spring. I often have an evil half smile on my lips as I plot out the next seasons gardens and plan forays because I know winter thinks it has me beat. Little does Old Man Winter know, but I have planned ahead and a foray is only a matter of walking down to my basement and inspecting the many boxes I have there. Forcing winter growth of wild edibles is not difficult to do and is just a matter of planning ahead and “tricking” your various harvests into thinking winter has already passed. 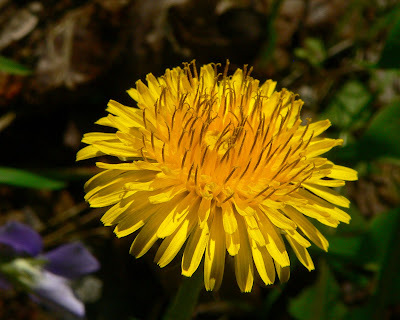 In late fall as the leaves turn I collect poke, dandelion, yellow dock and chicory roots and place them in wooden boxes of dirt or peat moss. These are stacked up in a back corner of the yard and as the killing frosts and hard snows of winter progress I bring these into the basement to promote growth and no matter the depth and bitterness of the snow outside I can enjoy fresh greens throughout the winter. Making a box is simply a matter of deciding your needs. A bucket with holes drilled in the bottom for drainage will work as well and so will flower large pots, but I try to talk the local apple orchards out of their wooden crates whenever possible just for this purpose. The average size of your boxes should be roughly 3 feet long by 2 feet wide by 1-2 feet deep. For poke roots you might want the make them deeper but for your average greens this size box will work. No matter what you use just make sure that it is something that can be easily stored outdoors until you bring it inside and that the container is not so big that lifting it requires a crane! I made the mistake one year of making my containers to large and lost a lot of work just because everything was to big to lift. Each plant you collect will have slightly different needs but cared for properly you can enjoy fresh greens throughout the year. Poke, (Phytolacca americana), roots are monstrous but it is one of the easiest greens to force and cutting the root will not harm it. On the top of the root you will find several buds and each of these will produce a sprout and is potential greens for your table. Plant these in your boxes with the crowns barely covered and leave outside until after a hard frost. Do not worry if you need to cut off the end of the root to fit in your box, poke is very hardy and can take the abuse. Once you bring your boxes indoors make sure to water them regularly. Keep the soil moist but not drenched and in a few weeks you will be rewarded with a wealth of fresh sprouts. Cut the sprouts when 6-8 inches tall and another crop will spring up in roughly a week. Properly cared for this box will last you a good 3 months producing fresh blanched greens for most of the winter. All plant parts of poke including poke greens are poisonous after growth reaches past 8 inches so do not use anything that is starting to obtain a purplish hue. Simply cut it back and discard and new growth will form in about a week. Use caution when digging roots as some people may have a reaction to just handling a mature plant. Prepare poke by boiling the sprouts for 10 minutes then toss this water out and return the poke to the pot and just barely cover with water and steam for an additional 10 minutes. Drain any excess water and serve with bacon bits, sliced boiled egg, vinegar, seasoning, butter or add to other dishes. Dandelion, (Taraxacum officinale), greens are also easy to winter force and are boxed and cared for in the same manner as poke. I make up several small boxes of dandelion roots and bring them in throughout the winter as they only last a few weeks instead of three months like poke. 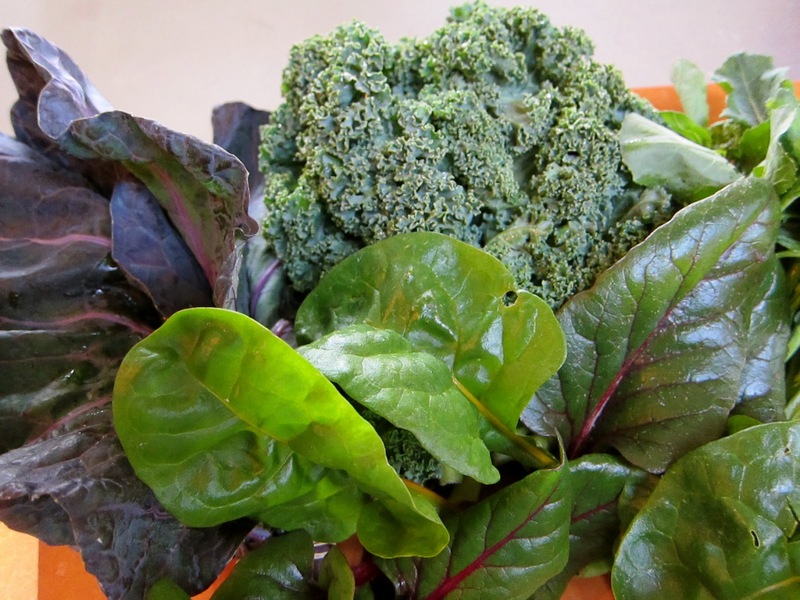 The resulting yellow blanched greens are wonderful fresh in salads, casseroles and soups. A simple vinaigrette can be made with finely minced garlic, herbs and good quality vinegar for your greens that can be easily altered to suit your personal tastes. Adding a bit of lemon juice also adds an excellent zest to your fresh salad that goes well along side fish dishes. Dock, (Rumex spp. 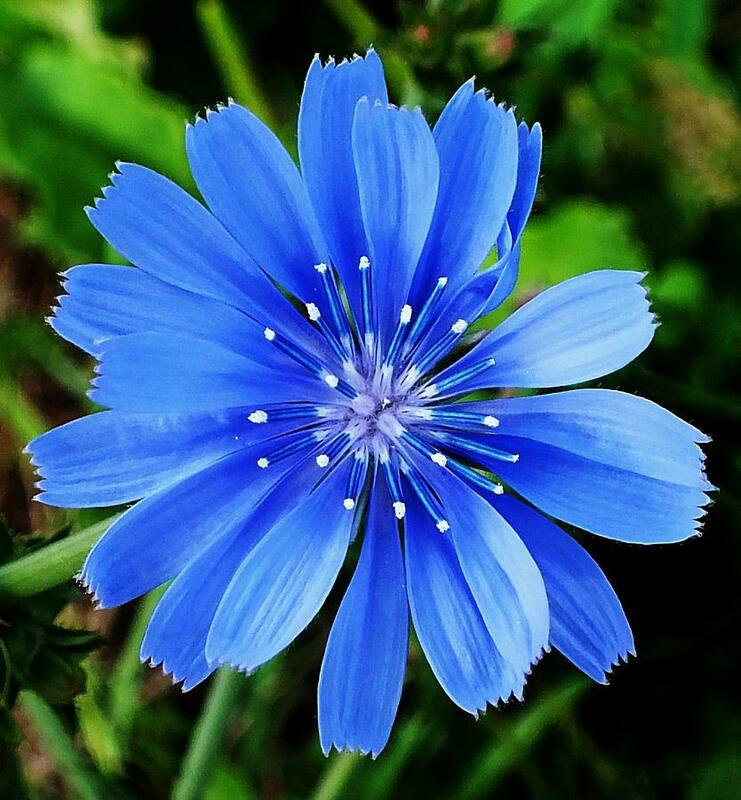 ), and Chicory (Cichorium intybus), can be forced in the same way but are a bit more difficult to dig as your intentions are to not harm the roots. For these two you will want to use and open end box and lay the roots so all the crowns are sticking out one side of the box. Layer peat moss and soil or sawdust and soil between the layers of roots, store outside until after a hard freeze then bring indoors and place in a cool, dry area away from direct heat flow and keep well watered. The resulting greens make a vibrantly colored salad addition or can be used as a pot herb. 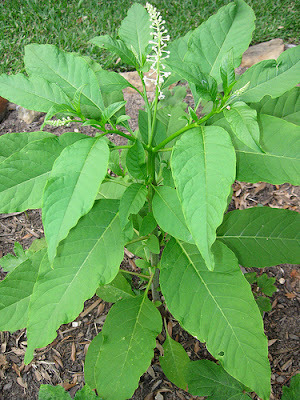 Dock is good for one use and chicory roots can be returned to the box after harvesting the greens and forced one or two more times. You might find that chicory greens are a bit bitter when collected in the wild, but blanched greens forced through the winter are milder in flavor and make a great addition to salads. Use sparingly until you discover for yourself what your tastes are for this green. Preheat oven to 350. Cut off ends of squash and boil in water for 15-20 minutes. Drain well. Halve lengthwise and scoop out centers; set shells aside. 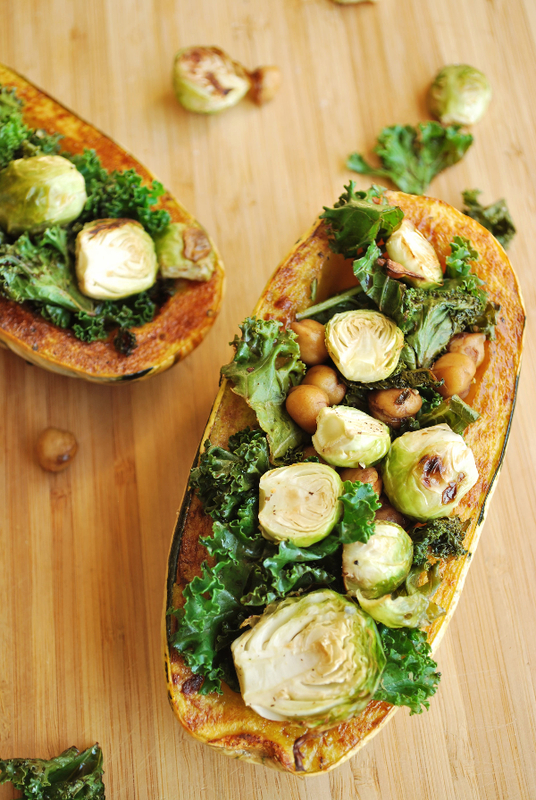 Mix scooped-out squash with cooked greens. In a large saucepan, melt butter, blend flour and milk; add spinach mixture. Cook filling until thickened. Place shells in a shallow baking dish and sprinkle cavities with salt. Spoon filling into shells, top with cheese and bacon and bake in preheated oven 15 to 20 minutes. Take two cups young, washed and towel dried dandelion leaves and put them in your food processor until finely minced. Or hand chop if you prefer a coarser pesto. 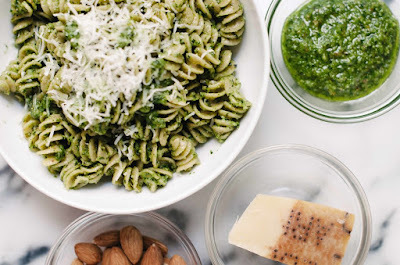 To this add a couple of tablespoons dried basil, one tablespoon thyme 1/2 tablespoon oregano and a bit of fresh parsley. After blending these together add a cup of sunflower seeds and 4-5 good sized cloves of garlic. Then added one cup of good quality olive oil in a slow stream as the food processor work it's magic. After the olive oil is well blended add one cup of freshly grated parmesan cheese and a bit of salt and pepper. Store in the refrigerator for up to six months. Best if allowed to age at least one week before using.